What you dance out of. his wife gives the sweets away. through his girl's thin hair. that glow in the dark. and he yelps with joy. The father wishes he were young. with no body to impede her light. Only as I paste in his photo, do I realize: I never actually met John Hollander. That's a punch in the gut, a regret. Because he is in my DNA as a writer. When I was an undergraduate at the University of Virginia, I took a course on poetic forms with Stephen Cushman, who had himself taken a course on forms with John Hollander while a graduate student at Yale. We studied Hollander's nimble articulations of iambs and sonnets; for the first time I really got the difference between a dactyl and an anapest, and scansion became a language I could speak. I loved the idea that the formal qualities of a poem, if handled with knowing intent, could offer clues to interpretation and an organic rhetoric--with the qualities of conflict, compromise, closure--apart from explicit text. My left-brain self, which had once thrived on the studies of mathematics and science, was engaged for the first time. I abandoned my fixation on a "practical" life course, e.g. law school, to the goal of becoming a writer. So I looked for MFA programs that heeded form and world traditions, which brought me to American University, and Washington, DC. I took a full-time job at the Phi Beta Kappa Society's national headquarters to cover tuition and living expenses, and discovered that Hollander was one of the judges for a book prize I administered. When I came on board, all of the first-round reads were already sent out--except, I realized, a book that had been misfiled under the award for poetry (creative) versus poetry (criticism). I leafed through the book, thought "This looks substantial," and pleaded with my supervisor that it should be considered. She said, OK--if I could convince a judge to take on an extra book. 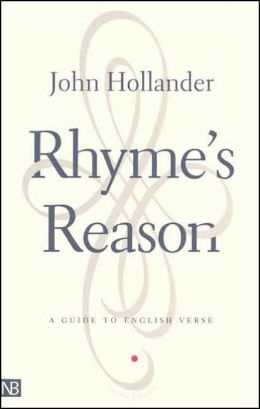 That judge turned out to be John Hollander ("talk poet to poet," I steeled myself before asking him) and the book, Susan Stewart's Poetry and the Fate of the Senses, went on to win the 2003 Christian Gauss Award for Literary Criticism. One of my earliest lessons that even when you're an underling, paying attention and speaking up can change the course of events. Of course, as any administrator will attest, some of our exchanges were less fruitful. I once had to plead with him to turn in some overdue reader reports. He responded by saying the books in question had been delivered to his mailbox at the end of his driveway, but his driveway was long and very icy, and did I want him breaking a bone in the name of Phi Beta Kappa? His voice was kind in phone calls, but reserved. All the while I was driving to AU three times a week for class, where my principle mentor was Henry Taylor--who I had first sought out as an overzealous UVA first year, looking to interview a poet for my underground lit mag. At the time he was on a clerihew kick. We'd talked for hours, then stayed in touch; he recommended me for a fellowship, and then on the first day of classes he told me he was retiring. Ooof. He stayed around until my thesis was complete, and we segued to "independent study," which meant sitting in his office talking (a little bit of) poetry and telling (a whole lot of) stories. Which is how I heard about the time he arrived at a literary conference and, because he could, adopted the name tag of...John Hollander. And attended the party accordingly, making conversation, answering questions. This would have been back in Henry's drinking days, and I don't think Dr. Hollander appreciated the homage. 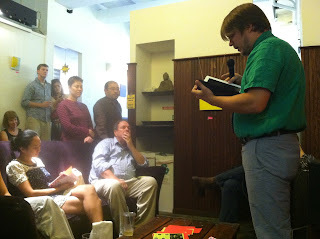 But I was delighted by the tale--a humanizing lesson that even great scholars could be pranksters, and could be pranked. In those AU office days Henry also workshopped my Chronic Medea sonnet sequence, and played matchmaker between me and the sestina. In all the important ways, Dr. Hollander, he carried on your values. As if from shore you'd stepped into a boat;"
Altitude, unpartitioned, whole and round. Off into silence, like an echo dying." I'll be honest: Rhyme's Reason is rarely the students' favorite part of the semester. For most of them, his didactic exercises go down like cough syrup, his jokes seem contrived, his tastes old-fashioned. They're only too happy to scoot along to free verse and talking about what the poem means to them. But there's always one or two who perk up--who appreciate, like I did in college, that intensity of wit and those acrobatics of language, and who embrace that poetry can have both objective and subjective qualities. For those one or two students, he's a revelation. The lineage continues. Rest in peace, John Hollander. You were a brilliant scholar. You shaped my ear, and my sensibility (and many more than me, more than a simplistic head-count of "formalists" would describe). Yet you were also a real person in the real world, and that helped me envision a future where I, too, could be a real poet. I am so grateful. Over the weekend I was looking up pastor Martin Niemöller's poem ("First they came for the communists...."), which I had push-pinned to the wall of my teenage bedroom. Along the way I found this, which I'd never seen before: a 1964 short video adaptation of Maurice Ogden's poem, "The Hangman." The production team is Paul Julian, who did the animation, and director Les Goldman. The narrator is character actor Herschel Bernardi, who was the singing voice of Zero Mostel in the Broadway launch of Fiddler on the Roof (he also voiced the Jolly Green Giant, and Charley the Starkist Tuna, though that seems almost unfair to mention). The music is composed by Serge Hovey, who was also part of the effort to record the complete songs of Robert Burns. This is really quite beautiful--and chilling. Now that I've seen it, I can't get it out of my head. Thanks to the Academic Film Archive of North America for archiving it online. 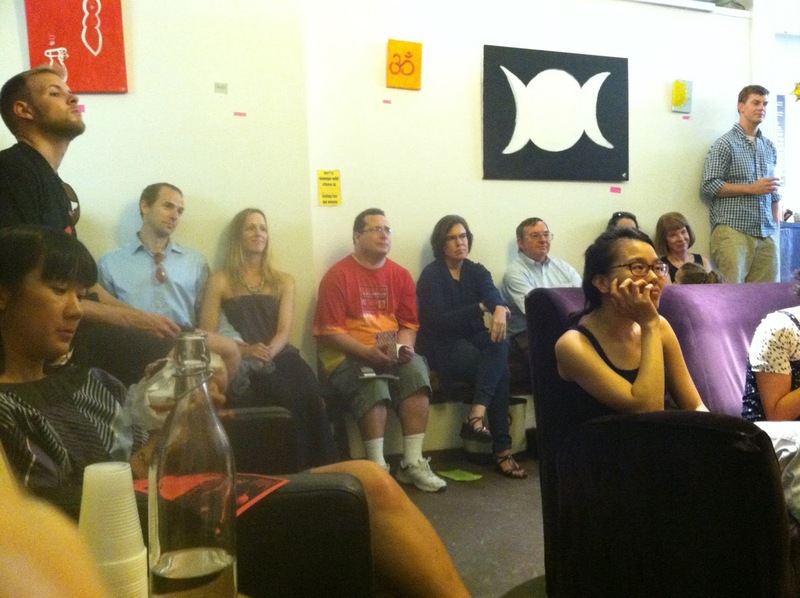 Last night we had a big crowd for the Omission Summer Poetry Tour's stop at Baked & Wired (which serves all your standard coffeehouse fare...plus sweet tea so rich it should carry a warning label...plus bacon cupcakes). The work was great; as I told the audience, this felt like a snapshot of What's Being Written Now, and I was honored to be part of that constellation. Our host Diana Khoi Nguyen was every bit the charmer I expected. Justin Boening read before me, and is pictured below. His PSA chapbook (selected by Dara Wier) is gorgeous, and I'm looking forward to it. My vision of "area poets" got a little bigger, as I learned Miriam Bird Greenberg had spent the summer tending to a grandmother who lives mere miles from my family's house in Vienna, and John Fenlon Hogan is here to stay awhile. Afterwards we wandered down to Mr. Smith's, one of those venerable Georgetown institutions with the crumbly brick and the peacock-hued stained glass, where we snagged two tables in an outdoor courtyard. I wouldn't want to be there on a Friday night when the Jager-bombs are 4 for $10, but on a Monday night it was kind of awesome thanks to inexpensive house IPAs, a basket of curly fries for the table, and a surprisingly tasty vegan Israeli couscous dish with spinach and "sundry" tomatoes (how that snuck on the menu is a mystery). All of which took a backseat to the conversation, the kind of totally indulgent poetry-talk--on blurbs and contests and conferences and feuds--that I crave but rarely find outside AWP. I had fun eavesdropping on the post-Columbia MFA conversations, a program whose dynamics seem so very different from my time at American University. Not surprisingly, I woke up this morning wanting to write. 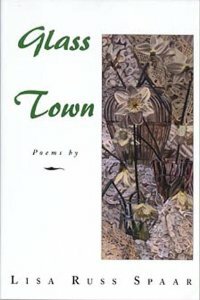 There's about five calls for poems that are uppermost on my radar, on topics ranging from perfume to gravy to politics. Like many poets I'm both lured in by the Los Angeles Times' call for "op-ed" poems and turned off by the condescension of the tone ("if you have an opinion that can only be expressed in rhymed iambic pentameter or lively doggerel, in a haiku or limerick, now's your chance to express it"). I've also been inspired to dive back into blogs. Leslie Pietrzyk has an epic recount of her travels through small-town Georgia, which I must re-read before I embark on the Georgia Poetry Circuit in spring 2014, which takes me to nine colleges around the state for readings. Gotta brush up on my Flannery O'Connor before then, too. 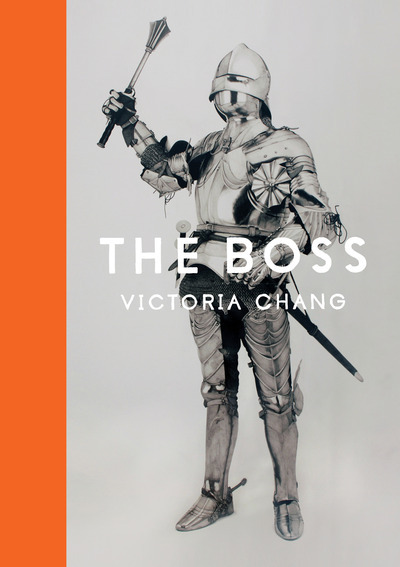 I found out from Victoria Chang's blog that she has a third book out, The Boss, courtesy of the new McSweeney's poetry imprint. You can subscribe to said imprint, $40 for four "issues" (a.k.a. books). I'm assuming these are poems in series with the ones she wrote for VQR a few issues back--fragmented views of a dystopian workplace--which has me intrigued. And I'm not going to link to any one post on "The French Exit," because they're all so damn good; Elisa Gabbert keeps one of the most interesting and substantive blogs among poets these days, even when (like most of us now) she only updates once a week. There's a lot to do. I must be a little more settled, because creative ideas are simmering to the surface again. but there's a LOT to do. Luckily this life is long...and also I have enough kale and watermelon in the fridge to skip grocery shopping for a bit.